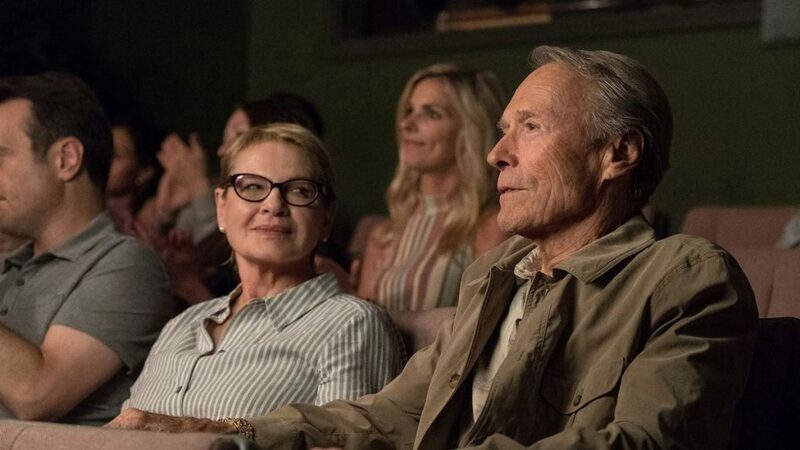 It appears there’s just no stopping Clint Eastwood. 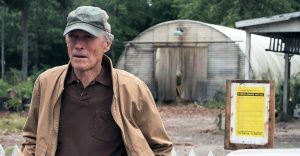 Not only does he star in The Mule, a movie ‘inspired by a true story’, but he’s also on producing and directing duties too. Just when you think you’ve seen him in his last ever role, he’s back, 88 years old and still going strong! Eastwood is Earl Stone, a highly successful horticulturist and Korean war veteran who we first meet in 2005. He arrives at a horticulture convention where he charms the ladies, engages in friendly competitive banter with other exhibitors and sneers at the guy promoting a new way of ordering flowers over the internet, before going on to win first prize for best bloom. But over the years all of this success has been at the expense of his family and while he’s buying everyone in the bar a drink to celebrate his win, his daughter is getting married, wondering where her father is while her mother consoles her. A life on the road devoted to work has lost Earl the most important thing in life. Shifting forward 12 years to 2017 and Earl has been forced to close up the flower business, blaming the damn internet for it all. He pays off his farm workers as best he can before heading off to his granddaughters house where she is holding a garden party. His presence only causes tension though – his daughter can’t bear to be anywhere near him, while his ex wife takes the opportunity to once again give him a piece of her mind, disappointed that despite a lifelong devotion to work, he now can’t even afford to help pay for his granddaughters upcoming wedding. So when an offer comes his way, working as a mule for the cartel in return for good money, Earl accepts. An old man traveling, with no previous speeding tickets, is less likely to be stopped than the traditional Latinos they usually use, and Earl benefits by continuing his love of traveling the country in his trusty old truck. He tries the charming old man routine with the cartel members he comes into contact with on both sides of his deliveries, with varying degrees of success, but in-between he manages to just enjoy life – driving on the open road, singing along to the radio for hours on end. And the money certainly is good – Earl is able to buy a brand new truck, help pay for his granddaughters wedding and even help prevent a bar he’s been going to for the last 50 or so years from closing. He gradually becomes more trusted within the cartel, becoming responsible for transporting increasingly larger quantities of drugs and drawing the attention of the more powerful cartel members. Attending big parties at their lavish houses, dancing with bikini clad girls and engaging in threesomes, this ninety something certainly is making the most of his twilight years! As power shifts within the cartel and Earl gets drawn deeper in, he finds himself having to decide between the cartel and his family. A decision with very different but serious consequences depending on which path he chooses. All the while Earl is having his fun, the net is closing in on him in the form of a couple of DEA agents played by Bradley Cooper and Michael Peña. Under pressure to secure a bust from boss Lawrence Fishburne, they’re getting closer and closer to capturing the cartels top mule. All three of these actors are seriously underused though in what are essentially pretty standard cop roles. 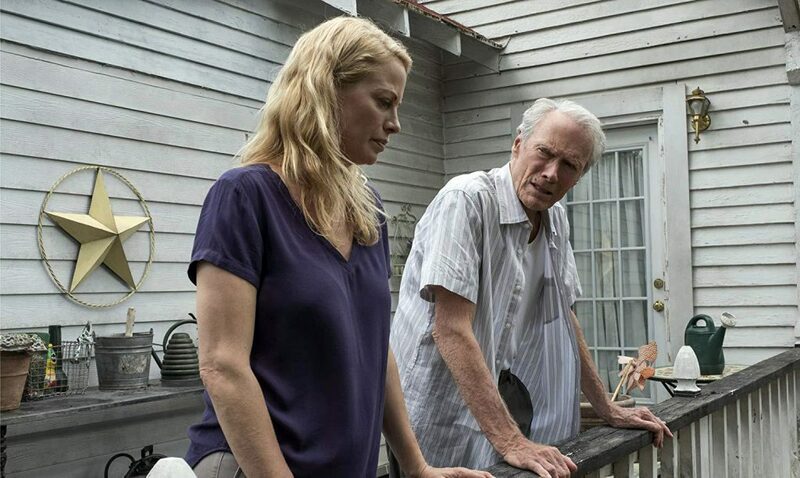 The Mule is a fairly simple movie with no big sense of drama, and certainly no Breaking Bad levels of cartel tension. However, I was never bored at any point and just found myself completely engrossed in it all, swept along by the genial nature of Earl and what was an enjoyable, sentimental story. My watch-list of movies and TV shows continues to grow, while my available spare time continues to shrink. Occasionally I’ll manage to tick one off the list, and then I’ll try and ramble on a little bit about it on here.